If I wait until it is really truly finished it will never get posted. So here is Miss J's bedroom makeover. Looking pretty and fresh with lots of white and hints of pink and mint. 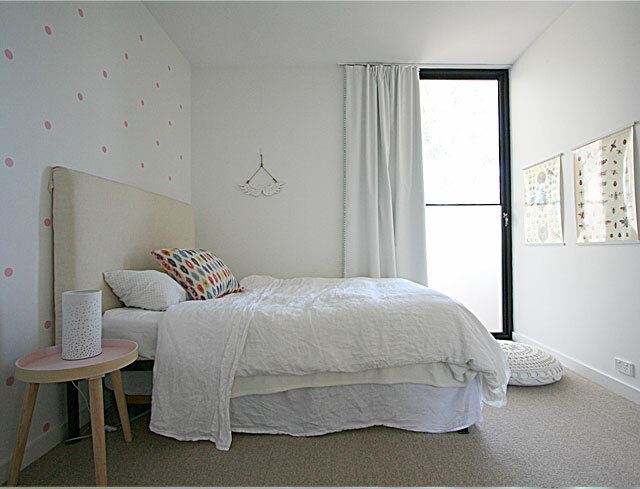 See how it looked as Miss E's teen room here. 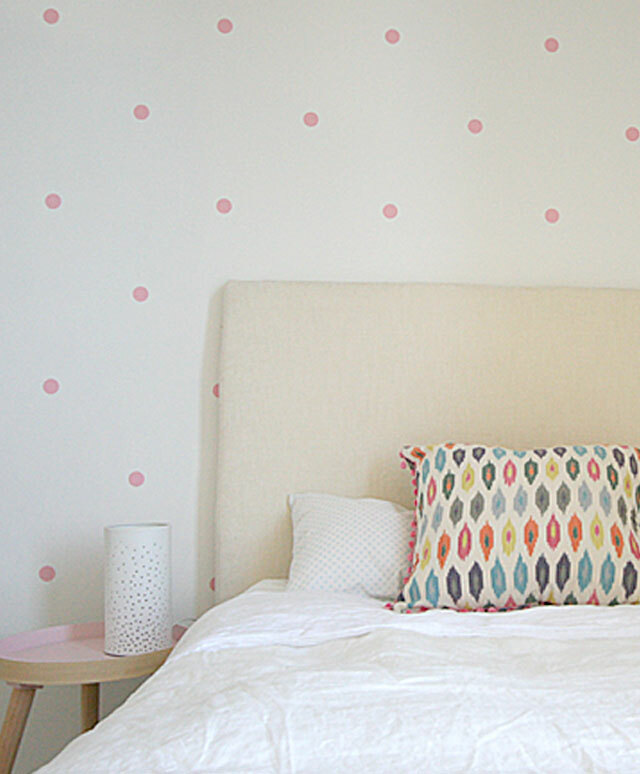 The bedside table is like a super sized pink dot to match the wall dots. 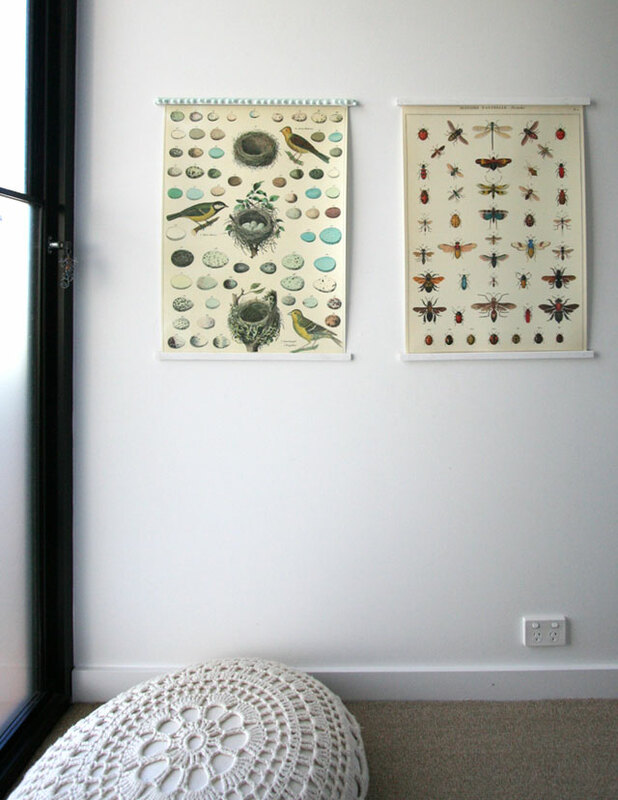 A really good buy from Kmart, Kmart homeware is just getting better and better. Yes I know the quality isn't great but brilliant value. 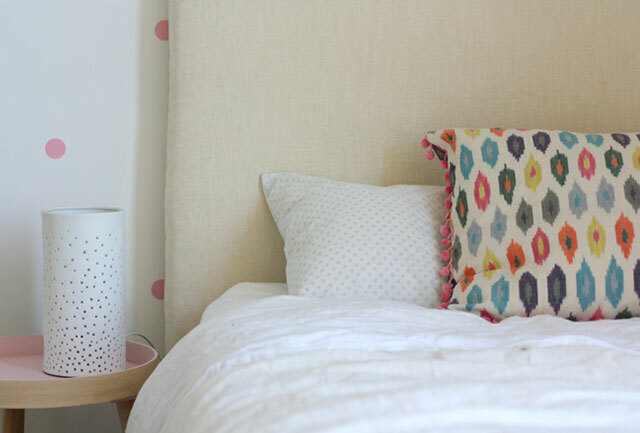 The blue mini dot pillow case is from Pottery Barn Kids, and I made the ikat cushion with fabric from No Chintz. 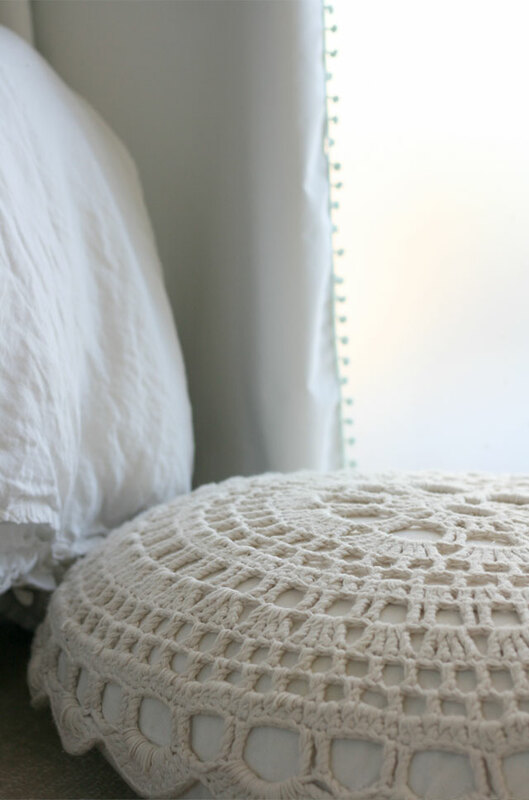 I have changed the curtain dressing to a plain white and dressed the edges with teeny mint pom-pom trim. Love how this turned out so much that I added it to the poster edge below. 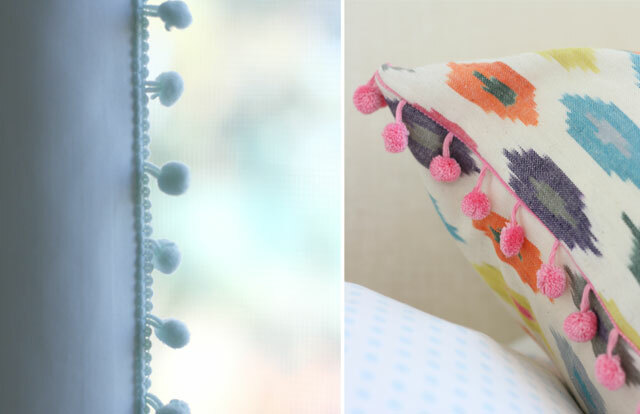 and more pom-pom trim on the ikat cushion. I do love a little bit of trim. 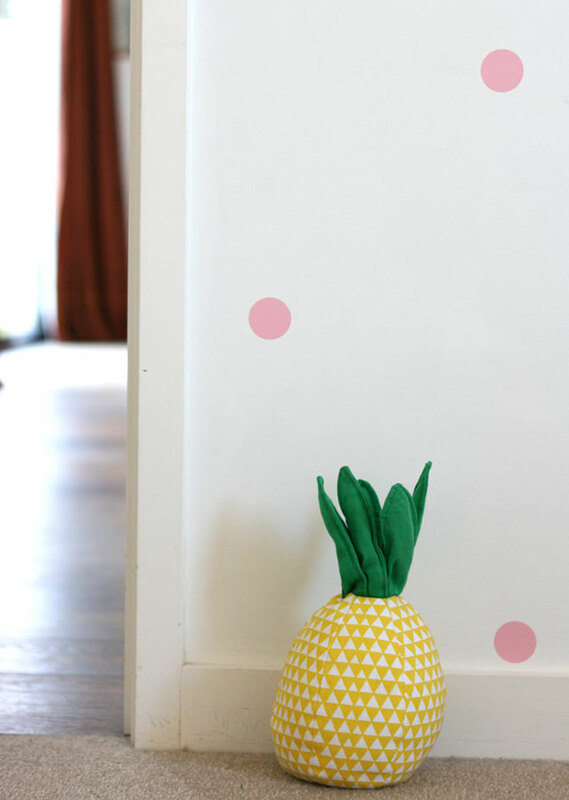 The pineapple door stopper is another Kmart find, love a bit of yellow. 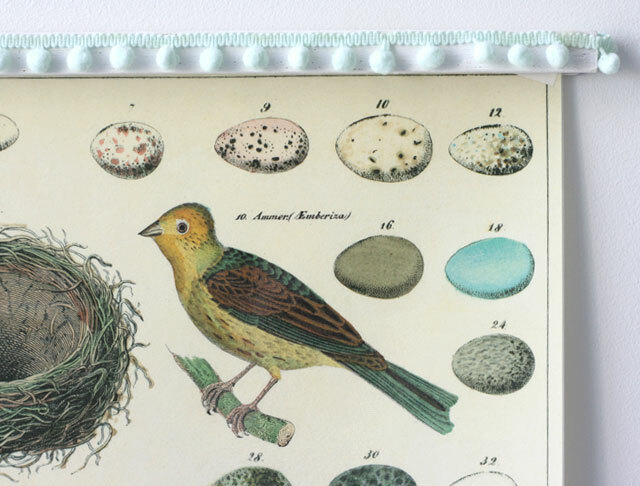 Miss J is obsessed with birds, animals and insects, her favourite bed time reading is the animal encyclopedia. 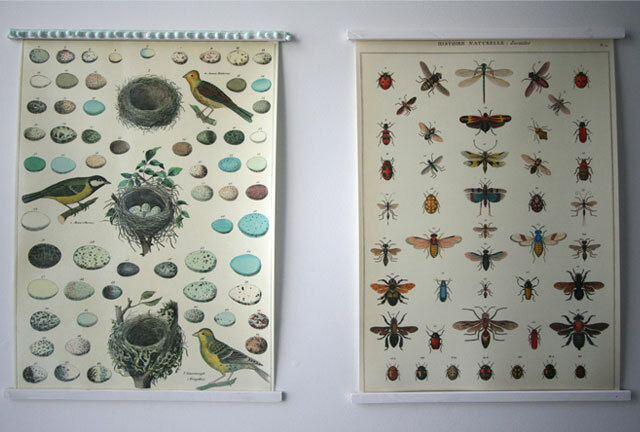 So I made a simple poster frame for these gorgeous wrapping papers. Was really hard to photograph these in the context of the room. 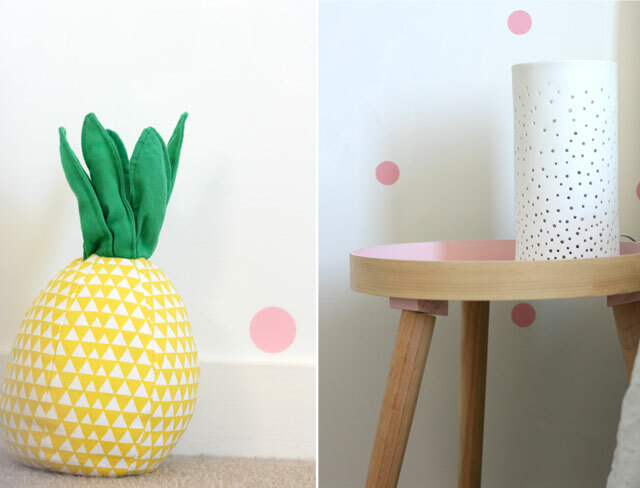 A little bit of yellow goes a long way to diffuse the girliness of the pink dots. Not totally thrilled with these photos, I find photographing interiors really quite tricky, but you get the picture. Still lots of little details to add, but am loving the direction it is heading in.